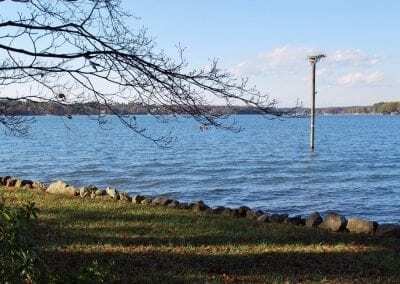 The Best resources for Lake Norman and surrounding areas. After initial results, you will be able to narrow your search criteria. 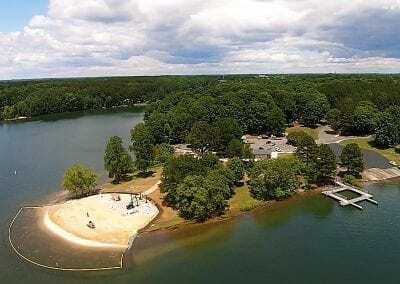 Cornelius is a small town located along 54 miles of shoreline on Lake Norman. Founded in 1893, originally called “Liverpool”, the name was changed to Cornelius to honor Joseph Benjamin Cornelius, the man who supplied money to open the towns cotton mill. Davidson is a small town on Lake Norman in northern Mecklenburg County of North Carolina. In 2016 the estimated population was 12,452. The town was founded in 1837 when the Presbyterian Davidson College was established. Short Business Description: 131 Main has an unparalleled commitment to fresh food. All of our recipes are prepared from scratch each day to ensure that your favorite dish will always be delicious! Short Business Description: he Baker Sports Complex is the nucleus of Davidson’s athletic program. It is home to events, meetings, training, dining, administrative offices for staff and a state-of-the-art athletic medical facility. Short Business Description: From casual to upscale dining at Dressler's you are coming home. A cozy niche between casual and upscale. Dressler's is located in Birkdale Village, Huntersville. Whether with friends for a party or a quaint dinner with that special someone, at Dressler's we want you to feel you are coming home. Short Business Description: The Brickhouse Tavern offers a unique ambiance of nostalgia mixed with a contemporary flair. Located in Davidson in the old cotton mill, the Brickhouse Tavern offers a unique ambiance of nostalgia mixed with a contemporary flair. When you add culinary expertise, the historical atmosphere, and a friendly service staff, you will leave satisfied. From brick oven pizza with homemade sauce to steak and ribs you are sure to find something for the entire family. Short Business Description: Serving up the freshest ingredients, a gluten free menu, and catering in a small setting with big flavor and flare. Currently serving in Cornelius and Mooresville, and coming soon to Denver. Fresh Chef is opened for lunch and dinner and offers a variety from salads, wraps to entrees. The salads are large, served with meat for a meal all its own. Serving up the freshest ingredients, a catering menu, as well as gluten free menu. A small setting with big flavor and flare. Short Business Description: The perfect venue for any occasion. A private dining room with a scenic view and intimate atmosphere. A unique décor with a variety of menu options makes for a wonderful dining experience. The perfect venue for any special occasion. The private dining room, The Boat House, provides a scenic view with an intimate atmosphere. A variety of menu options will help compliment your event whether business, or pleasure. The unique décor is an experience all its own, from the large sailboat at the door to the historic watercraft mounted from the ceilings, makes for an intriguing dining experience. Address: 400 East Martin Luther King, Jr. Blvd. Short Business Description: The NASCAR Hall of Fame honors the history and heritage of NASCAR, its drivers, crew members, team owners, and others who have impacted the sport. The NASCAR Hall of Fame, located in uptown Charlotte, honors the history and heritage of NASCAR. The high-tech venue offers artifacts, hands-on exhibits, 278-person state of the art theater, to name a few. The goal is to honor NASCAR icons, create a tribute to the drivers, crew members, team owners, and others that have impacted the sport.